More seafood exempted from the SST | Daily Express Online, Sabah, Malaysia. Kuala Lumpur: The government has decided to expand the list of seafood items exempted from the Sales and Services Tax (SST) to include prawns, cockles and squid. 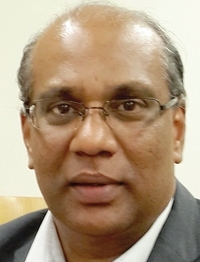 Customs director-general Datuk Seri Subromaniam Tholasy (pic) also said his department has conducted tens of SST briefings with 82,000 registrants under the tax, in response to a news report claiming confusion among businesses five days after the SST was implemented. "JKDM has taken the proactive step of creating hotlines to handle public inquiries about SST that operate until midnight," Subromaniam said in a statement. "The government has also decided to add the number of items exempted to include food like prawns, cockles, squid and other types of seafood under the 'crustaceans and molluscs' category, tyres and inner tubes for motorcycles, and pewter items.